Why does doing something as simple as driving trigger back pain, even though it’s not exactly a strenuous activity? Well, driving for long periods of time exposes the body to many different forces such as acceleration, sudden stops, and vibrations from the road. Driving also requires the use of your feet to control the car’s pedals instead of being used to stabilize and support your lower body as they normally would while sitting. Make sure your mirrors are properly positioned so you don’t have to twist or move your body in order to see out of them properly. You should only have to move your eyes to be able to see out of your mirrors. Something that starts out as a small irritation can quickly grow into unbearable pain. So, before you start your journey, even if it is a short one, take a moment to get comfortable. Adjust your seat properly. This will make sure you don’t have to turn awkwardly and strain your body. To ensure your set it set properly, put your hand at the 12 o’clock position and reach the steering wheel with only a slight bend in the elbow. Car seats don’t normally support the curve of your back so, if you are in need of additional support, roll up a towel and place it behind your lower back. This will help you to maintain good posture and prevent back pain in the long run. If your car has cruise control, use it when you can – on long stretched of road when it’s quiet with no traffic. While using it, place your feet on the floor so your legs form a 90-degree angle and gently push them down into the floor. This will help naturally support your spine and put you in a neutral position without having to press down on the pedal constantly. If you are driving for more than an hour, stop and take a break. Stopping around every hour or so will help to reduce stiffness and ease tension. When you take a break, do some gentle twists to loosen the body up. If your neck and shoulders are feeling tense – try shrugging and rolling your shoulders back and forth, then rolling your neck from side to side. Adding exercise into your routine, even just 2-3 times a week, will help you release tension, strengthen your back muscles, and help maintain and healthy posture. Cardio exercises like cycling, walking and swimming are great for overall fitness, and weights are perfect for improving muscle strength. Put these simple tips in place to lessen your low back pain, Click Here to Schedule your appointment now! 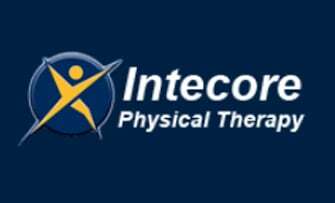 Intecore Physical Therapy has offices in Orange to server Santa Ana physical therapy Tustin physical therapy, and Orange physical therapy patients. The Aliso Viejo offices serves Aliso Viejo physical therapy, Laguna Niguel physical therapy, and Laguna Beach physical therapy patients. The Foothill Ranch office serves Lake Forest physical therapy, Irvine physical therapy, Mission Viejo physical therapy, and Foothill Ranch physical therapy patients. The San Juan Capistrano office serves San Juan Capistrano physical therapy, Dana Point physical therapy, San Clemente physical therapy, and Rancho Mission Viejo physical therapy patients!